There is a famous pet quote, ‘A dog is a man’s best friend.’, and Japanese are of course, one of those who are friends of dogs. 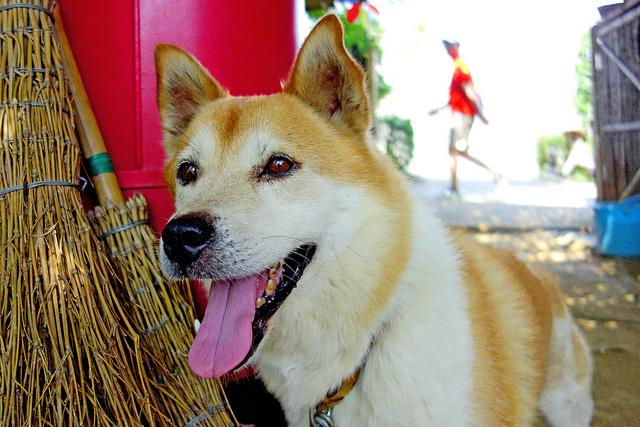 Due to the size of common housing in Japan, people tend to prefer smaller dogs than other countries. A survey of a pet insurance company also proved this; the most popular dog in 2013 was Toy poodle, which was followed by Chihuahua and Miniature dachshund. Anyway, I am going to write about an article which introduces dog’s architecture exhibition. According to the article, ‘ARCHITECTURE FOR DOGS’ is an architecture project which aims happiness for both dogs and human. If you visit the museum, you will see 13 pieces of work for dogs. 13 different artists/ group of artists will present different work pieces with inspiration from different types of dogs such as Beagle, Shiba and Terrier. Here is an PR movie I found on youtube. I personally prefer playing with dogs outside, so I’m not particularly a big supporter of dog furniture, but I like ‘D-tunnel’ myself; it must be a good fun for dog although key point is if it can be foldable or not thinking Japanese housing. This exhibition already visited Miami and Los Angles, and Japan is the 3rd place to be on exhibition. Maybe next destination will be your country?? You Never Oversleep with Railroad Crossing Signal Alarm Clock!